Third highest graded and ranks in the top 1% of all graded copies. This obvious NEAR MINT example has incredible color strike, fresh off-white pages and a perfect spine. This is the nicest copy structurally we have seen of a 9.4 in a while and it's a puzzle that it's not graded higher. First appearance of Captain America since the late Golden Age! Classic comic book with a memorable Jack Kirby cover. Sub-Mariner appearance too. One of the most important Silver Age comics! 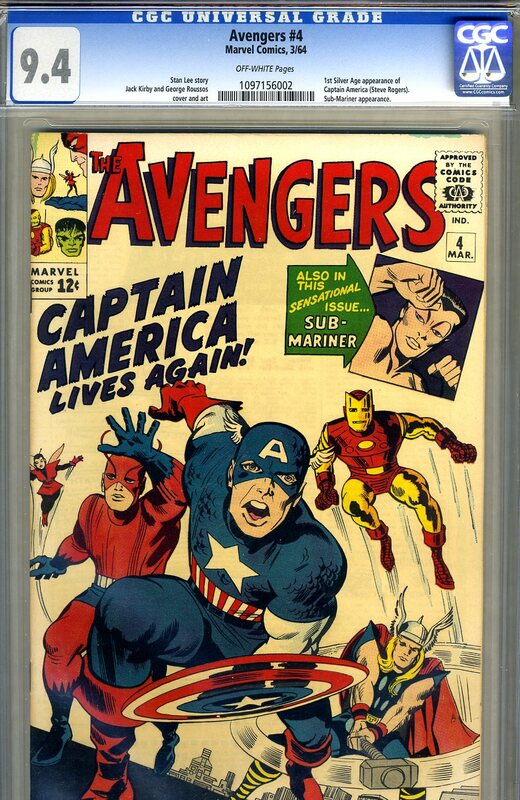 The keystone of any Avengers collection.